Whenever someone mutters “Grilled Chicken”, somehow or another I’m just prone to conjure up an inkling of Nando’s rather than Charly T’s. It’s probably just how Nando’s sounds so much more catchy. 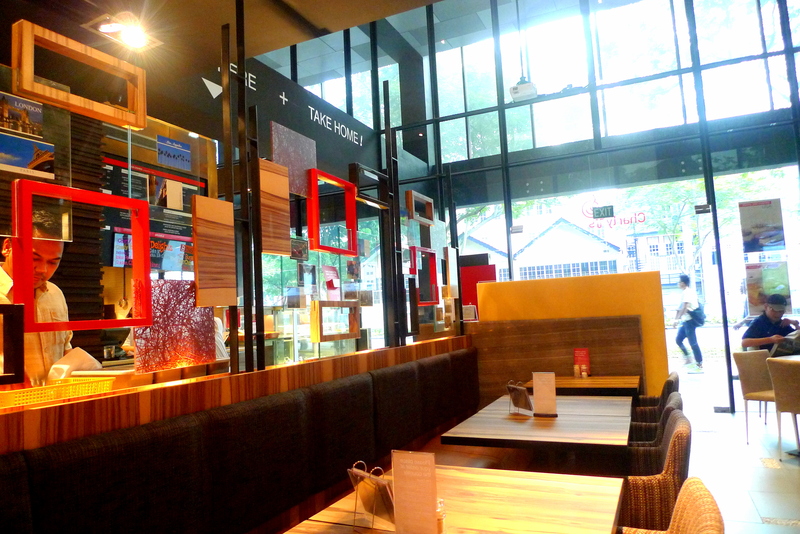 Anyways, though I haven’t tried Nando’s in Singapore, I wasn’t impressed by my Nando’s meal in Adelaide. 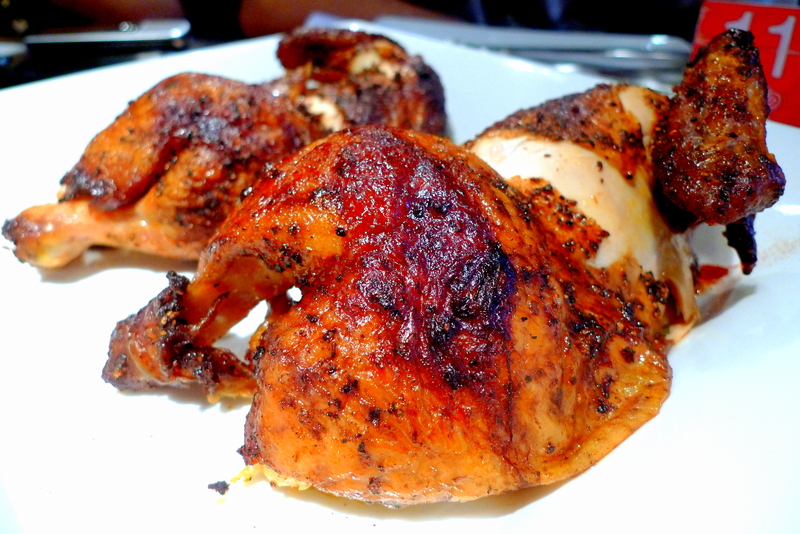 Hence, I’m quite surprised at how hot our local Nando’s is compared to Charly T’s, which in my opinion whips up Singapore’s best Rotisserie Chicken so far (I have yet to try new French entrant Cocotte’s Rotisserie Chicken!). 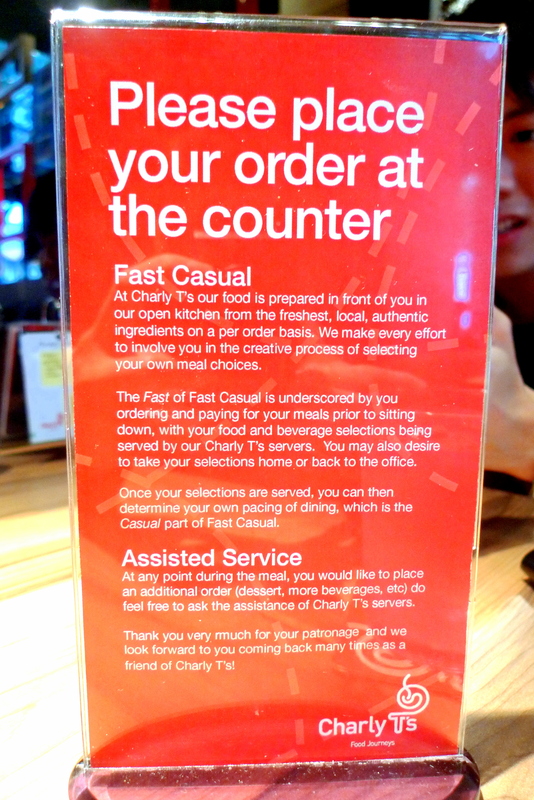 Being a fast casual diner, you have to place your order personally at the counter, pay first (much like a fast food joint) and they will serve the food to you afterwards. Ordering food here is quite a no-brainer. What else than to have their signature Whole Rotisserie Chicken with 4 Sides and Sauces ($37) to share? I know most people simply can’t reconcile paying around $40 when you can probably get a whole Roast Chicken for 10 bucks at Cold Storage but I’m positive these same people haven’t tried Charly T’s. The meat is as tender and moist as it gets, even for the chicken breast which I normally shun away from. I was secretly happy one of my friends didn’t fancy chicken skin for it’s health detriments as I found it exceptionally delicious due to its long period of marination. 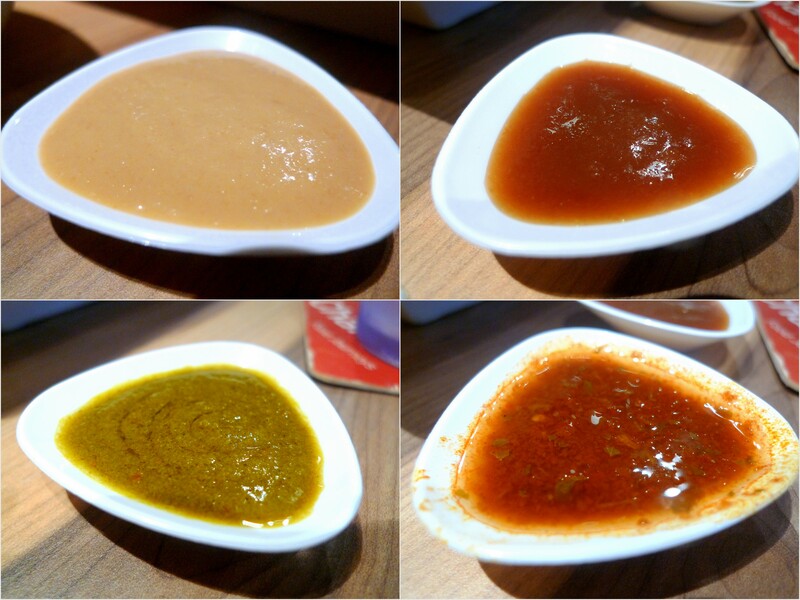 4 Sauces came with the chicken so I chose the (from top left clockwise): Sesame, BBQ, Hot Sauce and Chimichurri (our favourite based on general consensus. Made from parsley, red wine vinegar & red pepper). Actually, just do away with the sauces because the chicken tastes great on it’s own! The 4 Sides I chose were the (from top left clockwise): Mac & Cheese, Roasted Potoatoes, German Potato Salad (I think) and German Salad (much like Sauerkraut). Nothing very memorable though J did enjoy the Mac & Cheese. Having a bout of rashes, G’s doctor advised him against eating seafood and poultry. So he decided to order a beef burger instead. 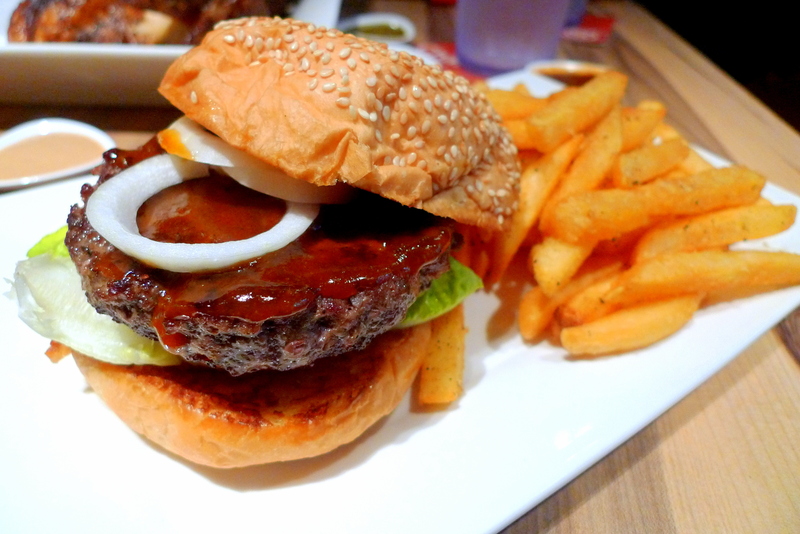 Can’t recall what it’s called exactly but it definitely tops any fast food burgers, Burger, Bench & Bar or even The Handburger in terms of it’s juicy beef patty. 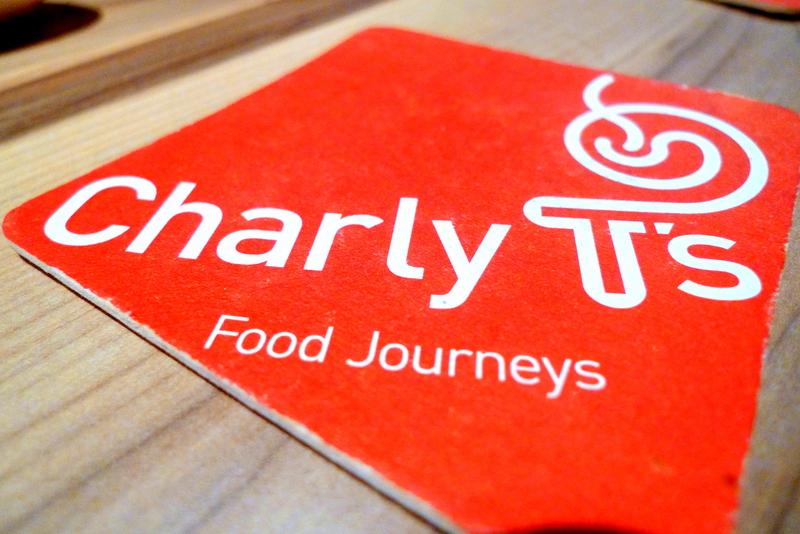 Charly T’s is probably one of the most severely underrated restaurants in Singapore. I actually reviewed on it half a year ago on Hungrygowhere but business hasn’t seemed to have picked up much since despite its splendid Rotisserie Chicken. 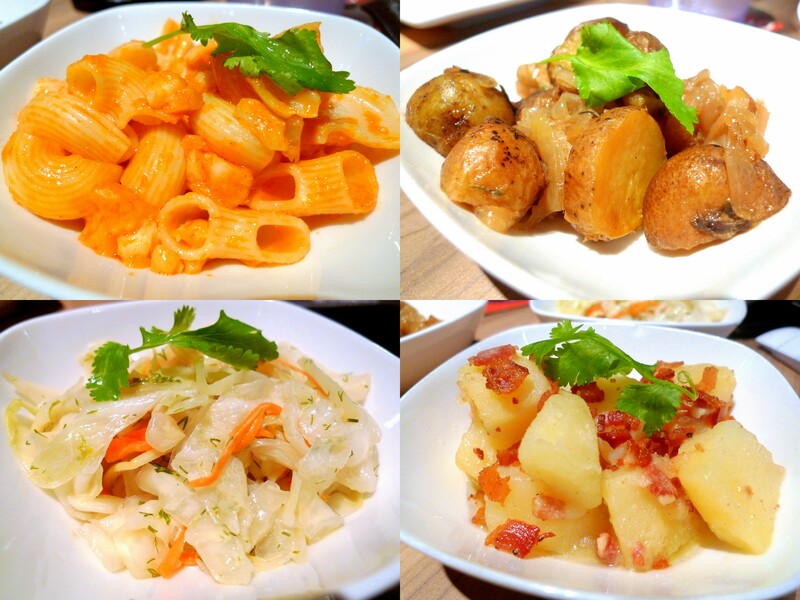 Categories : All YumYums in my TumTum, Cuisine Type YumYums, Dhoby Ghaut, Location of YumYum, Western, Yummy!